It is my absolute pleasure to introduce a very talented author, and fascinating person. 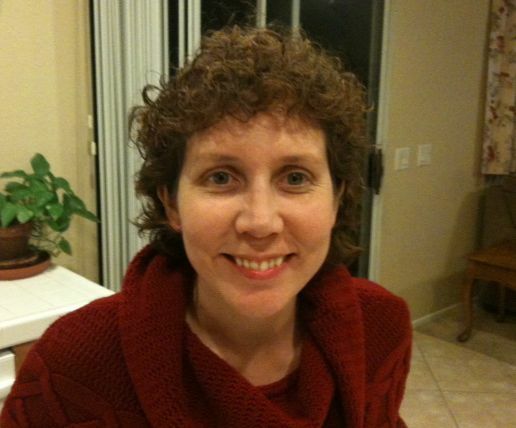 Welcome Stephanie Burkhart! STEPH: Maria, thanks so much for having me here today. MARIA: It's a pleasure to have you here. Let's get to know you a bit – who is your favorite author and what really strikes you about their work? STEPH: It's a toss up between Victoria Holt and JK Rowling. I love Holt's gothic romance, the dark, dangerous hero and the heroine in distress. She had a strong understanding of historical elements. While her writing is more "telling" in nature, (than showing) as a teenager in the 80's, I found myself just losing myself in her stories. I love Rowling's imagination and creativity. The world of Harry Potter is so unique. Her writing engages me as a reader and keeps me flipping the pages. Her characters are interesting, and her writing style is easy to read. If you read too fast though, you'll miss something that turns up in a future plot point. Her writing voice reads very naturally and I think that's what allows her to connect with young adults and readers. My goal as a writer is to make my readers lose themselves in the story by using a natural voice and an easy writing style. MARIA: What do you love about your latest book? 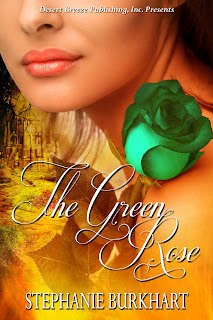 STEPH: My latest book with Desert Breeze Publishing is "The Green Rose," a fantasy romance, and I love the journey that Sonia, the heroine, takes in the book. She's determined to find her kidnapped father, but after Gabriel's betrayal, trust is an issue with her. It's up to Ivánstan to earn her trust. MARIA: What is your favorite review of one of your books? STEPH: My favorite review was given by Long and Short Reviews for my paranormal romance, "Twilight Over Moldavia." The adventure Stefan and Caroline take was one that really resonated with me. They hardly know each other, but come together over a shared problem. It's a very suspenseful story. Here's a snippet: "Twilight Over Moldavia is even better than the first book in the series. It is an excellent story filled with just the right balance of romance, magic, and danger. Stefan and Caroline’s story certainly has a happy and satisfying ending, but the epilogue opens up a whole new story line. I’m already looking forward to the next book in this exciting series." – Poinsetta, 5 Stars, Long & Short, Nominated for Book of the Month, FEB 2012. MARIA: Do your fictional characters develop on their own or do you have their lives planned out in advance? STEPH: Well I plan, but only a little. I plan out their physical traits, their strengths and weaknesses, and I give them a job. After that, they're on their own. MARIA: What type of scene do you enjoy writing the most? STEPH: The love scene! What I love about writing romance is that when you start the story you meet the hero and heroine at certain points in their lives. They come together over a common problem and struggle against their internal conflicts until they reach that moment where they want to take on hope and love. As a reader, (and writer) I've gone on this amazing journey with them and I want the reward of a love scene. MARIA: Would you share with us what inspired you to write "The Green Rose?" STEPH: I'm on Writing.com and I came across a writing prompt: Write a fantasy with a spoon, honey, and a flower, no more than 4,000 words. I wrote a scene where Ivánstan meets the 3 witches and figures out their riddle so they have to give him the green rose. I really wanted to expand on this scene, thus the novel was born. MARIA: What's your favorite place you visited? Do you have a must see destination on your bucket list? STEPH: My favorite destination had to be Berlin. While I was in the US Army I visited Berlin in 1988 before the fall of the wall, in 1990-2 and in 1996. The city changed so much during those years and I was thrilled to have a front row seat. I would love to visit England since I've never been. MARIA: Oooh, I love England. Is there something about you that isn't well known that you'd like to share? STEPH: I was married in Nykobig, Denmark in 1991. MARIA: That's cool, I had no idea! Thank you for visiting me. I loved having you here! Enjoy this Excerpt from "The Green Rose"
Sonia gazed at the brick house on the opposite shore, cupping her chin in her hand. Draco sat next to the shore, his wings resting over his back and his tail dipped into the water. Hiro perched on a branch overhead. "I wonder how Ivánstan fares?" Draco snorted. Sonia wasn't sure if that was an "I-don't-know" or a response to something else. "I wish I was there with him." Draco flicked his tail against the water, spraying mist into the air. Sonia found the light drizzling of water refreshing. "He's a good man -- and handsome. I enjoy his company." Draco snapped his forked tongue, catching a fly. Sonia tamped down the urge to roll her eyes. And here she thought they were having a conversation. "He understands you better than you think." "I'm not so sure, Hiro." Sonia walked up to Draco and placed a hand on his relaxed wing. "I care for Ivánstan very much." The dragon swung his head in her direction, the slits in his eyes widening and softening. The prick of a blade pierced her back. She froze. Draco's eyes peered past her to the man holding the blade, but he remained still. "You care for dragons, Sonia?" "Aye, it's me. What a fool you are to let down your guard and confess your heart to a beast that doesn't understand a word you say." "You're a coward and a traitor." "Oh, don't try to goad me. I have the advantage." I first read Stephanie's writing when I was honored to have a story of mine included in a Christmas anthology along with her "Christmas in Bayeaux". I can attest she certainly has developed a style of writing that's easy to read and sucked me into the story. Maggie, thanks for popping in. Characters are so much fun. I love going where they go. Gerald, thanks so much for visiting. I honesty strive for that "easy reading" style. I've enjoyed your stories as well including your "Deal with the Devil." That had to be my favorite.